JWKMEDIA is founded by JOHN W. KENNEDY, a writer/producer himself who has. among other places, worked for CNN, Fox News, PAX TV, SiriusXM and (currently) Beliefnet and Cartoon Network Enterprises. His writing career spans 20 years, both as a creator of original material and as a paid script doctor and ghost writer. He has written over 100 published books (including storybooks, junior novels and graphic novels) based the Cartoon Network series such Ben 10 , Ben 10: Alien Force, Ben 10: Ultimate Alien and Generator Rex, among others. He began his career as a writer and producer in TV news (CNN; Fox News) where he also developed a reputation for booking A-List news makers and celebrities. Later, after his scripts and series proposals began being optioned by production companies, he moved to Hollywood and took on development stints at iO Productions and Epiphany Pictures. While in Hollywood, he was a producer on the PAX-TV series Faith Under Fire. He spent two years producing Seize the Day, a four-hour morning talk show for SIRIUS SATELLITE RADIO. He co-created a humorous family travel show concept that became the American Airlines web series Secret Spots & Hidden Gems. His faith and media blog can be found at Beliefnet.com. 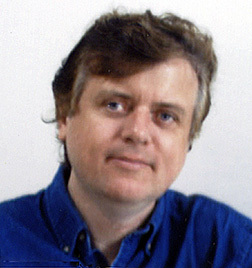 He also occasional blogs for TheWrap.com cover TV programming, including such topics as 10 Out-of-the-Box Ideas to Save Network Television and The Ultimate TV Network Schedule.